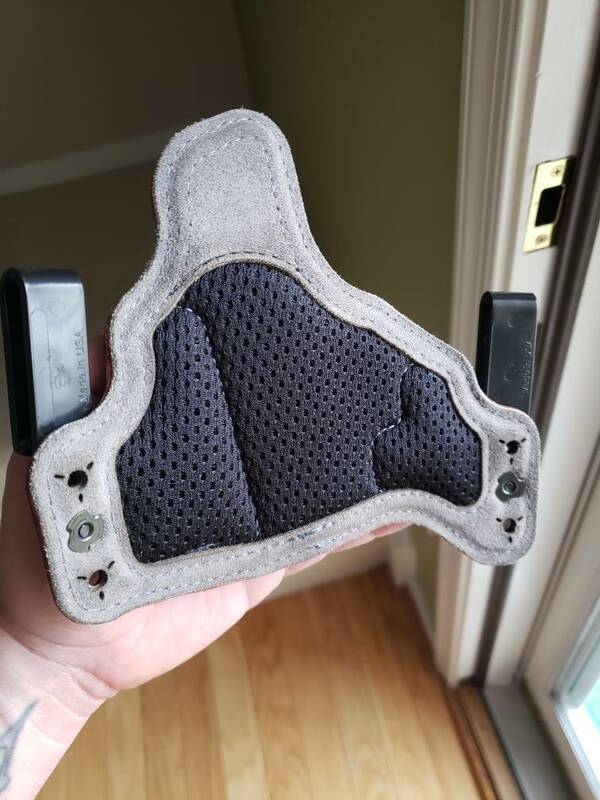 SOLD - Lightly used Black Arch holster for Kahr PM9, love this holster, only selling bc I'm getting another one with a different color combo. 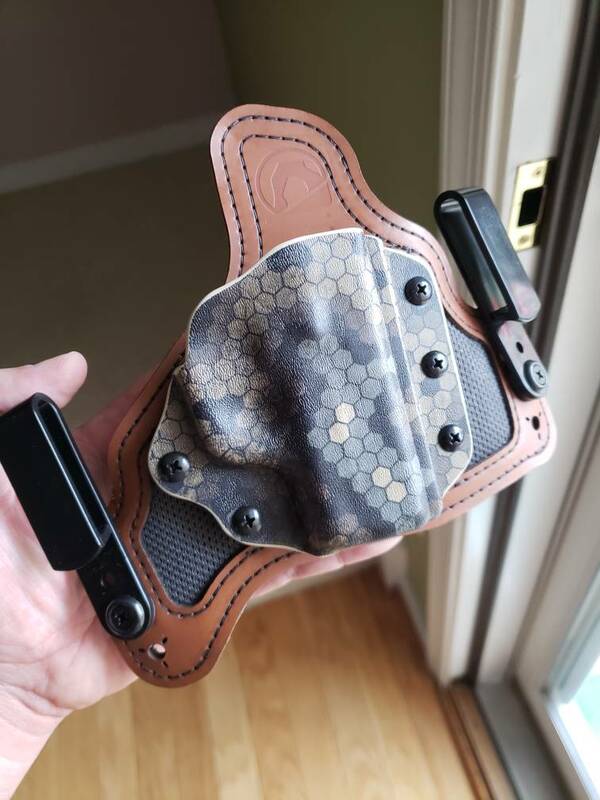 Brown leather upgrade, grey mesh upgrade, hexcam shell upgrade, and polymer clip upgrade. $55 shipped, saves you over $30 off new retail. Will ship via most cost effective USPS with tracking to the lower 48 only. Last edited by Redline727; 11-06-2018 at 12:23 PM.